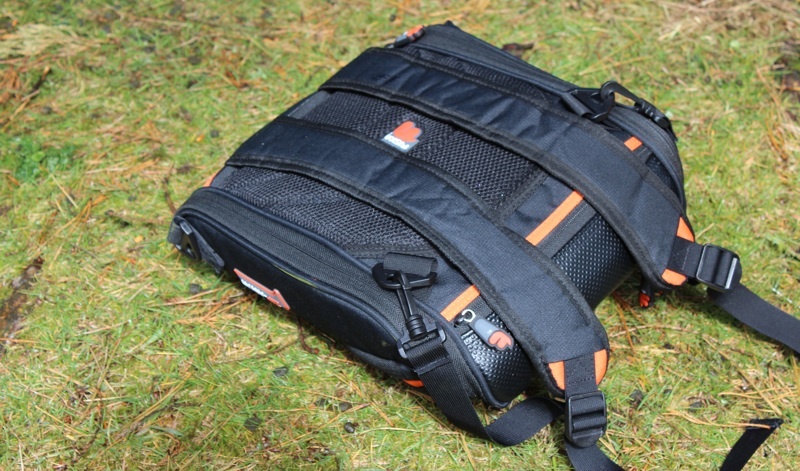 This is the Fusion 10" Micro Workstation Bag. It's compact in size but inside we find optimised spacious storage to simulate a literal workstation. The exterior design and build is fantastic! The bag is constructed from a robust water resistant rip-stop material. The material has shown itself to be strong and very hard wearing against scuffs and general wear from our excessive usage. 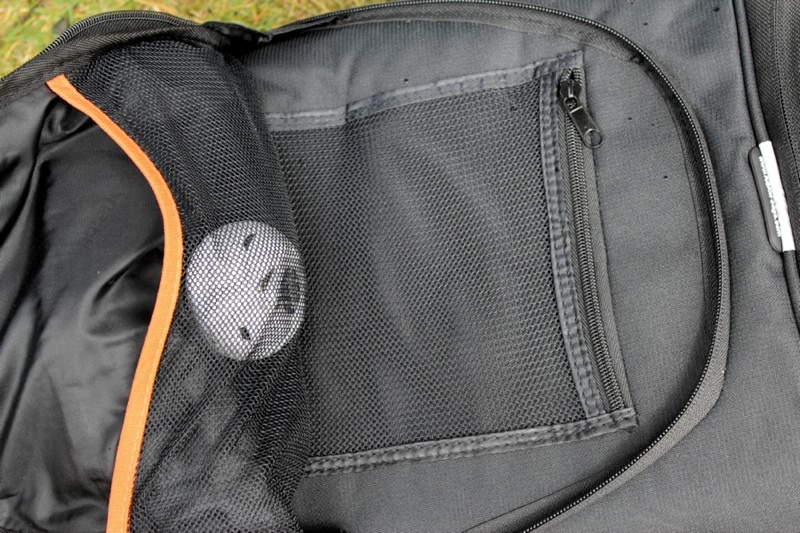 The base is made from hard PVC which can be relied upon for continuous solid protection on the bottom of the bag. All zip pulls and the handle are made from rubber. The overall exterior build is definitely designed to last. But it also hosts a somewhat stylish design; this isn't a bag you'll be embarrassed to wear. Available in four colour schemes - orange on black, blue on black, lime green on black and black on black. The inner shell of 1.5 inches high density lightweight foam padding and a soft satin finished lining really holds the bag together and keeps the contents firmly protected. However, sometimes bags can be overly padded and, in turn, this makes them difficult to actually get things out of. What we found to be important about the Micro Workstation is that everything we stored within this bag has been very easy and quick to locate and gain access to. This is all due to the bag's clever interior design which utilises the bulk of the space brilliantly. We have been astonished with how much we have been able to fit into the Micro Workstation, it serves travellers and commuters with light to medium weight accessories perfectly. 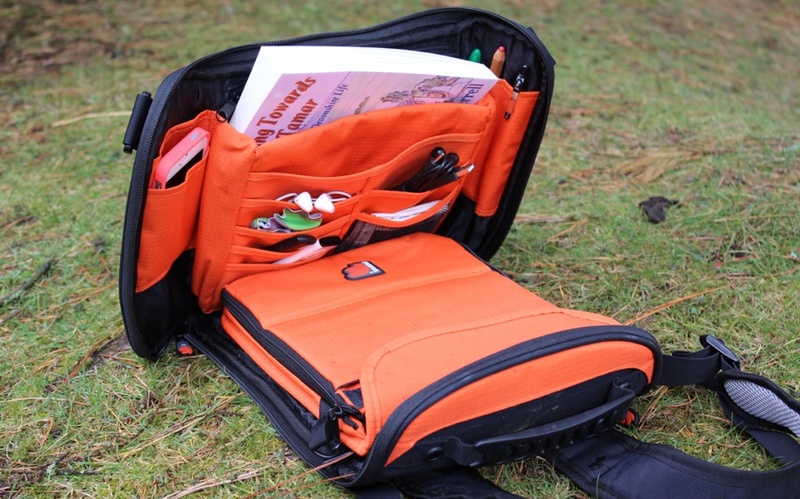 The front has two zipped pockets for storing away the not so essential smaller items. Inside the first pocket are four storage compartments, ideal for things like earphones, wallets, passports, small literature, ID cards (through the mesh area). And in front of all these compartments is enough additional room to store a compact camera within. The second pocket is bigger and offers two netted compartments on opposing sides. One is zipped and the other is open and quite a bit bigger in volume, of course we could also place larger items in between the compartments. Each compartment allows for easy access and is well made, coping under tight stretching throughout long durations of time. The main attraction of this bag is found in the centre. Upon unzipping this section it splits the bag into two flat parts. They can be positioned to replicate a small work environment. The left side has ten assorted in size and style compartments. 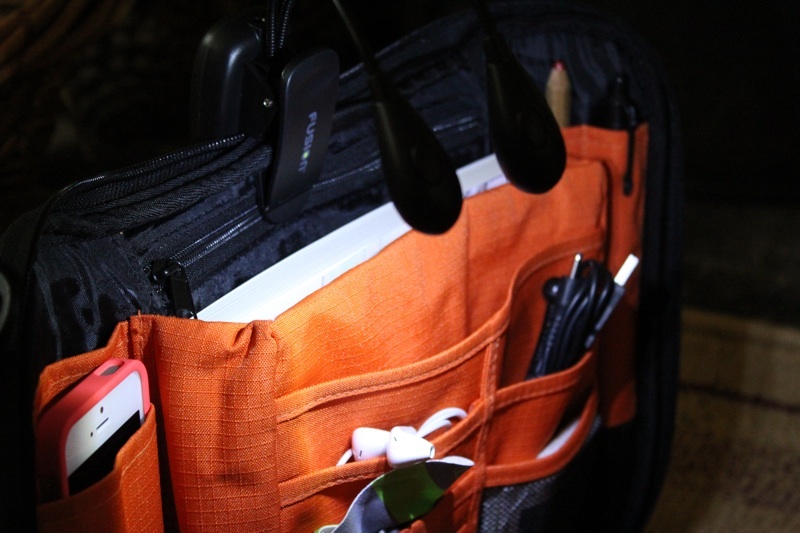 These are ideal to keep accessories, cables, a smartphone, books, keys, pens and such in. It's similar to a shelf you'd use on a desk in a real workplace. It can be used quite securely upright or flat depending on the placement of the zips and Velcro. But it is really only truly functional and secure upright when the stand is set up for it to rest against, we'll discuss the stand shortly. We definitely feel a better method for holding this section upright is needed; a large book positioned behind will do the trick but it seems too makeshift for our liking when taking into consideration this is such a well made bag. The section next to this is able to hold an iPad 1/2/3/4 generations and a 10.5 inch notebook. We discovered that some folio cases attached to the iPad won't fit but those with similar dimensions to the Skech Custom Jacket and Speck MagFolio Luxe will. 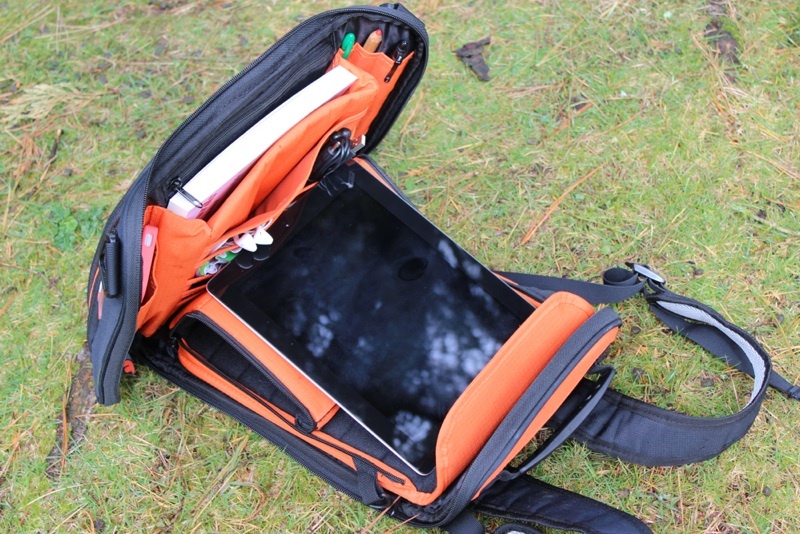 The iPad section surprised us, it's actually a bag/sleeve within itself and is totally removable from the Micro Workstation via a simple zip, this we like a lot! The iPad sleeve is able to have a shoulder strap attached and offer up some additional storage via a front pocket compartment. The padding is thick and rigid, which the designers have cleverly interlinked to keep the iPad safe and to create a stand. Each side of the sleeve can be unzipped and folded back on itself as you can see via our photo. The sleeve uses the Velcro strap which seals the sleeve to prop up the stand, so it's easily adjusted to grant an adequate angle for the user to interact with the iPad screen. We fooled around with the stand for some time and have come to the conclusion that this element is a little hit and miss at times, as the fabric is too silky and the iPad can slip when in use. If used with a bare case-less iPad it is far less secure, we found that rubbery grippy cases worked the best. But when it does work, it's great. The iPad can be used in both landscape and portrait view, although landscape will make the sides of the iPad mildly overhang. When the sleeve is zipped into the bag it can also be used as a stand, so the bag truly becomes a useful, purposeful micro workstation. When zipped up, a great deal of empty space is found inbetween the iPad sleeve side of the bag and the many compartments on the other. 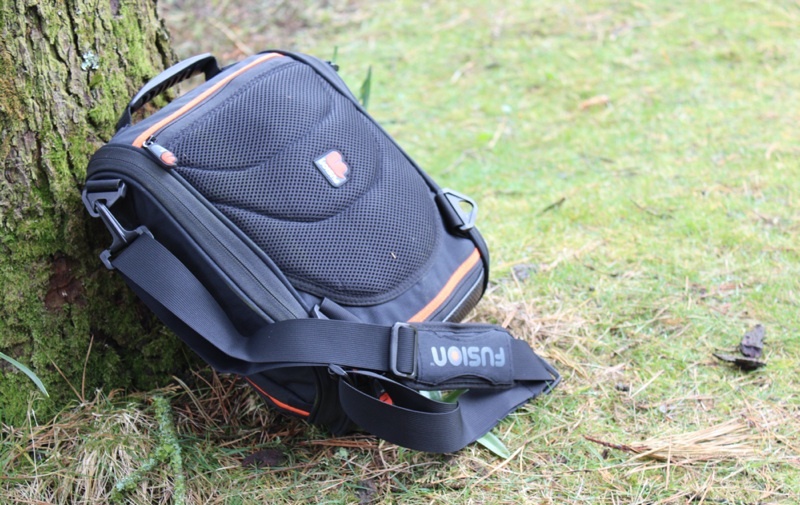 Ideal for storing a small compact camera, hard drives, binoculars and other similar shaped items. We avoided overloading the bag because we knew it would discourage us from using it as a workstation because we'd regularly have to off-load lots of loose items. The adjustable straps have a decent helping of padding and the rear body of the bag encompasses itself gently against the back. It's very comfortable to wear on the back for long durations of time and isn't overly hefty in size. But we actually really took to using the bag in the style of a satchel/courier bag. 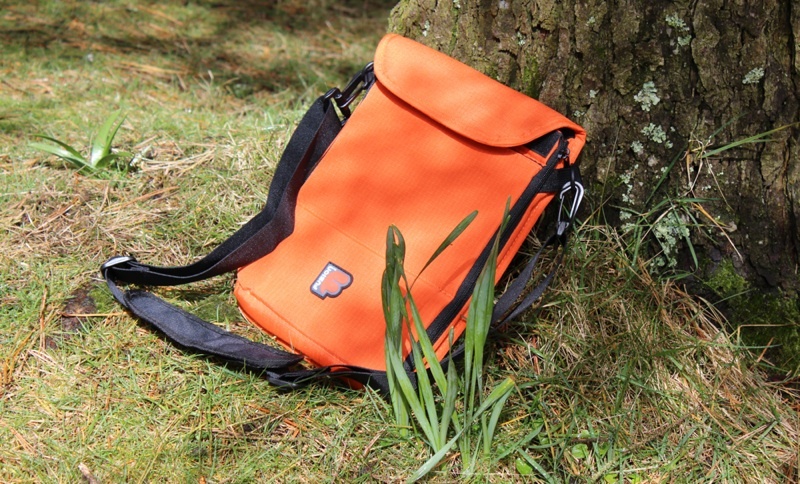 The shoulder straps can be easily folded into the rear of the bag and an additional adjustable strap for over-arm/body use is supplied and can be attached to either the left or right hand side of the bag. The Micro Workstation doesn't look at all unusual used in this manner and is very comfortable. On top of the bag is a rubber grab handle for quick portability. An additional feature worth noting is the included clip-on flexible LED light. This is fantastically useful when in dimly lit environments but is also a rather impressive torch. It can be powered via three AAA batteries or via USB. 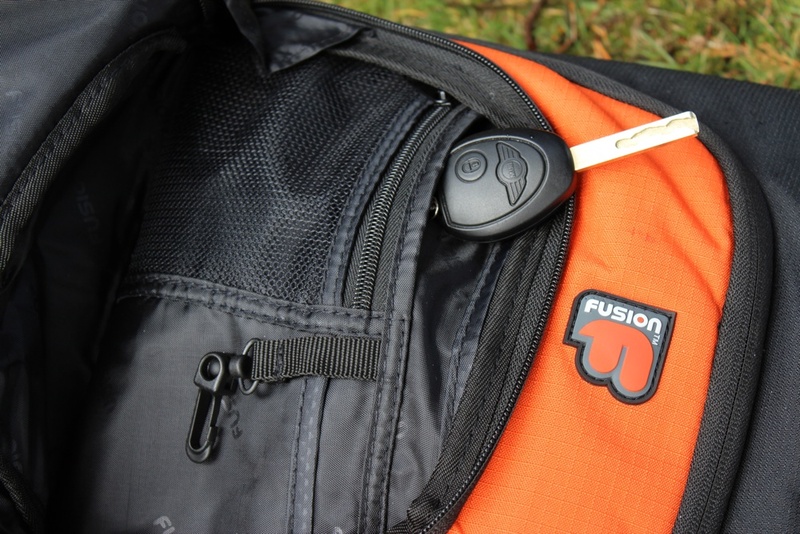 Overall the Fusion Micro Workstation Bag is an excellent product for those who want to be productive on the move. It's stylish, comfortable, protective and intelligent. It does have a few small imperfections that might become improved in future, but its well-priced at around £70-£95 in the UK.